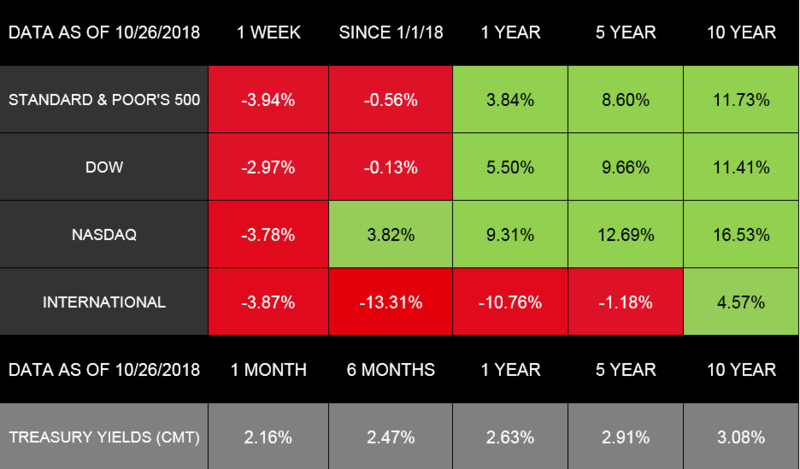 Weekly Update: October 29, 2018-Why Did Stocks Drop? Mix the first six ingredients in a large bowl. Stir the mix with a whisk. 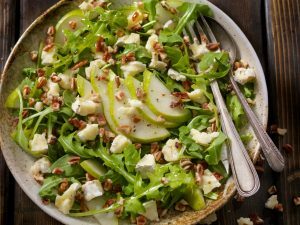 Add arugula and pears to the bowl. Sprinkle each serving with 1 tablespoon walnuts. If you’re a tax preparer or professional, how do you detect theft? What are the subtle signs that indicate information has been stolen? The IRS has joined forces with Security Summit to combat information and identify theft. State tax agencies, tax preparation firms, software developers, payroll and tax financial product processors, tax professional organizations, and financial institutions are part of Security Summit. Tax preparers may be unaware of client data theft until they discover fraudulent tax returns being filed in their clients’ names. Safety experts urge preparers to protect client information by implementing strong security protections. The IRS begins to reject clients’ e-filed returnsbecause a tax return with the same Social Security number has already been filed. The IRS sends authentication letters to clients who haven’t filed returns. The letters include forms 5071C, 4883C, and 5747C. The IRS sends refunds to clients who haven’t filed returns. The IRS sends tax transcripts to clients who haven’t requested them. The IRS sends notices to clients who have created online services accounts that their accounts were accessed. The number of returns you filed with your Electronic Filing Identification Number is greater than the number of clients you have. You are getting responses to emails you either didn’t send or don’t recall sending. The second-best place to have your ball land is on the green. The first favorite, obviously, is in the hole. But along the way, you encounter water hazards, roughs, and sand bunkers that seem to attract far too many of your balls on the way across the fairway to the green. So, what do you have to do to land in fewer traps and on more greens? Maintain your angles: Try to keep your spine angle consistent throughout your swing. Backhand it: If you slice the ball, use the back of your glove or the back of your weaker hand to get a greater sense of control over your clubface. Hold the club with your glove (weaker) hand so that you can see the logo on the back of the glove. This establishes a stronger grip position. Attempt to point the logo on your glove toward the target as you swing the club. This will help straighten the slice. If you’re reading this, you’ve probably come to the conclusion at some point how important your eye health is. Seeing your health-care practitioner regularly will help you detect potential eye problems early, such as nearsightedness, farsightedness, presbyopia, and astigmatism. Watery eyes: Your eyes attempt to wash out specks, such as dirt or dust. Once your eyes are able to remove the irritants, your eyes should stop watering. Dry eyes: Your eyes don’t make enough tears. Windy weather or other underlying health issues may cause dry eyes. Normally, your eyes try to produce more tears to correct this. Pinkeye: One or both eyes look pink and may feel itchy. Infections or viruses often cause pinkeye. You may want to use antibiotic eye drops. Blocked tear ducts: Tear ducts can get clogged, which produce watery eyes. This can be caused by infections or injuries. Eye scratches: Dirt, sand, or contact lenses can scratch your eyes, which may make your eyes hurt, get red and watery, or overly sensitive to light. Scratches usually heal within a couple days. You should seek medical help if you believe your cornea is torn. Styes: Swollen, red, painful lumps are the most obvious symptoms of a stye, which are caused by bacteria. Styes usually subside after a few days. The best treatment: Leave it alone. Don’t touch it. Regular eye exams can help prevent problems. You may need glasses, contact lenses, or other treatment to maintain good eye health. What’s the world’s largest industry? It’s tourism, and ecotourism is the single, fastest growing segment within the industry. Go with accredited ecotourism companies. Take a look at International Ecotourism Society’s directory at http://www.ecotourism.org/membersearch. When possible, fly direct or take a train. Use airlines’ special ecofriendly programs. Some airlines offer passengers opportunities to support environmental causes. Take advantage of local or public transportation if it’s available. If you plan to rent a car, ask for a hybrid or an electric one. Stay at hotels that offer ecofriendly programs. When you stay at hotels, tell management that service staff doesn’t have to change your sheets and towels unless you make a request. Leave comment cards commending hotel staff if they complied with your requests.